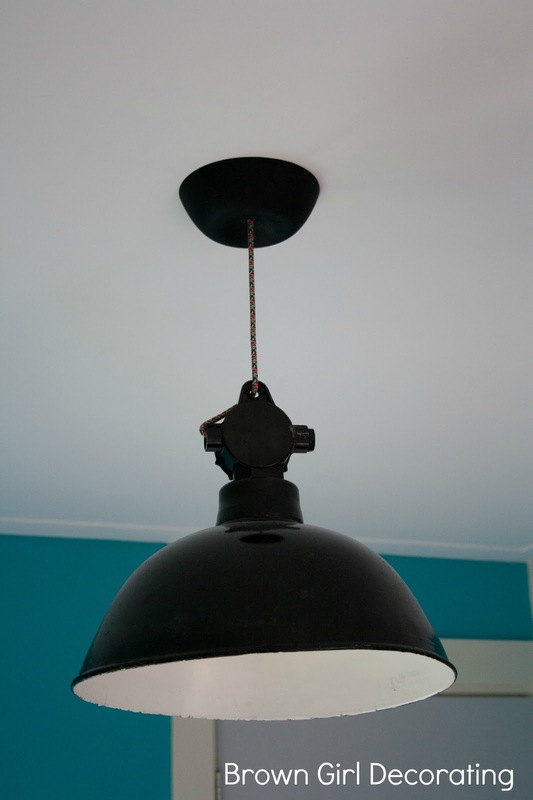 Do you have a lamp in need of a ceiling rose to cover the unsightly hole in the ceiling? Well I got you covered my friends. For RJ’s room I wanted to use a vintage industrial lamp I found some time ago. 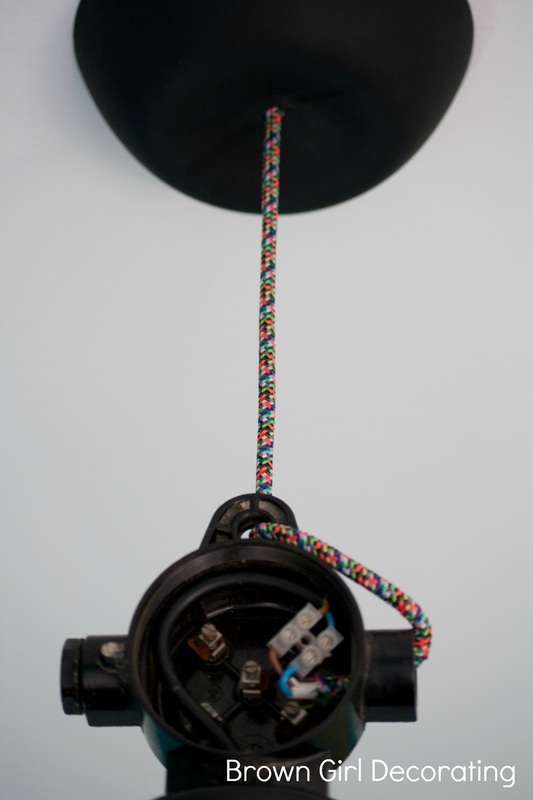 It was in need of it’s electrical cord and I wanted to use a nice and colourful one. So I went to the Snoerboer webshop. They have all kinds of colourful wires and textile covered cable. While I was there I found this thing called the CableCup. It’s a flexible ceiling rose. The hubster is the one that does all the electrical ‘stuff’ that needs doing around the house. He was very impressed with how easy the Cablecup was to work with. This is the lamp after the hubster fixed it up. For you non dutchies, Snoerboer ships internationally and they have a dedicated website for you English speaking folk here. I will be sharing the after pictures of RJ’s room with you later this week. It’s not all the way done yet but I decided to give you the ‘for now’ pictures anyway.